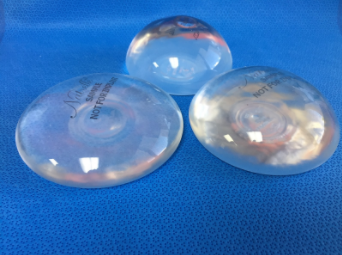 When you select your breast implants for your breast augmentation surgery, you will choose not only their size and material but also their shape, texture, and profile. These characteristics are also very significant in how they will affect your surgery results. To achieve the look that you are seeking, consider the following when choosing your breast implant profile. The profile is the projection style of the implant as it relates to the volume and width of the implant. There is some variability in the terminology, but in general, implants come in a low, moderate, high, or ultra-high profile. The highest profile implant will have the greatest forward projection with the smallest width at the base of the implant. Conversely, the lowest profile implant will have the least forward projection and with the greatest width at the base. Why Does Implant Profile Matter? The profile of your implants will affect your overall results in many ways. Do you want your breasts to have more projection—bolder and with more cleavage—or do you desire a subtle, understated look? Or do you desire something in between? These preferences will affect the implant profile you should choose, as different profiles will give different results. The most appropriate implant profile for you should take into consideration your preferences with your anatomic realities. The following factors should be taken into account when choosing your implant profile. The width of the chest wall can vary significantly from woman to woman and should be considered when selecting your implant profile. Women with wide chest walls typically need broader implants to give them a more natural look and, therefore, should consider more of the lower profile implants. Higher profile implants may result in too much space between the breasts and combined with greater projection, could create unnatural results. On the other end of the spectrum, women with narrow chest walls who are considering lower profile implants could either create an undesirably wide appearance and/or have very limited projection leading to very disappointing results. The natural placement of the breasts on the chest wall plays a key role in how implants of different profiles will look. If the breasts are naturally wide set, lower profile implants may be recommended to keep a balanced and natural appearance. If high profile implants were to be selected instead, the breasts might look as though they were unnaturally “stuck onto” the chest. If the breasts are close together, higher profile implants may be recommended, as lower profile ones could lead either to the breasts appearing too wide or having far too little increased anterior projection. It is important to consider the amount of natural breast tissue you have when choosing your implant profile. When there is little natural breast tissue, implants with greater projection may better help them obtain the overall size and cleavage desired, whereas if there already is a lot of breast tissue present, these same implants can create overprojection and exaggerated shapes. The shape and size of the implants should be properly determined along with the implant profile. Just because prominent implants could be large or ultra-high profile does not mean they should be both. For instance, if a woman desires a voluptuous appearance with more cleavage, one might assume that her implants should be a large size and an ultra-high profile. However, depending on her other anatomic realities, large or even not very large implants of even a moderate profile could create her desired results. When you go in for your breast augmentation consultation, it would be very helpful to have relatively specific goals in mind. Share with Dr. Turkeltaub your desires concerning the size, projection, shape, cleavage, feel, proportions, and overall appearance of your breasts. Choosing the best implant profile for you will be a delicate balance considering these preferences and your body. Dr. Turkeltaub will help you come to the best decision based on your goals and body type. To learn more about breast implant profiles and other implant characteristics, schedule your consultation with Dr. Steven H. Turkeltaub, our board-certified plastic surgeon. Dr. Turkeltaub is an experienced breast surgeon and will conduct a comprehensive evaluation so that all factors can be considered together. He can help you choose the ideal breast implant type to create the image and body shape you desire. To book your appointment with Dr. Turkeltaub, please call (480) 451-3000 or complete our online contact form today.